The minister said Hindus could, by nature, never be a terrorist because a Hindu person has not been taught terrorism at any time. Chandigarh: A Hindu can never be a terrorist and there cannot be any term such as "Hindu terrorism", senior Haryana minister Anil Vij said. The minister also accused the UPA government of releasing Pakistani bombers of the 2007 Samjhauta Express explosion to pin the blame on, what the Congress had once called, "Hindu terrorism". The Congress had later backed out of this description in face of sharp attacks from the BJP, conceding that terrorism had no religion or colour. It is a point that Prime Minister Narendra Modi and Foreign Minister Sushma Swaraj have repeatedly mentioned over the last three years in India and abroad; that terror had no religion. The minister said Hindus could, by nature, never be a terrorist because a Hindu person has not been taught terrorism at any time. "Had Hindus also been terrorists, no other terrorist would have existed in the area," Mr Vij said. 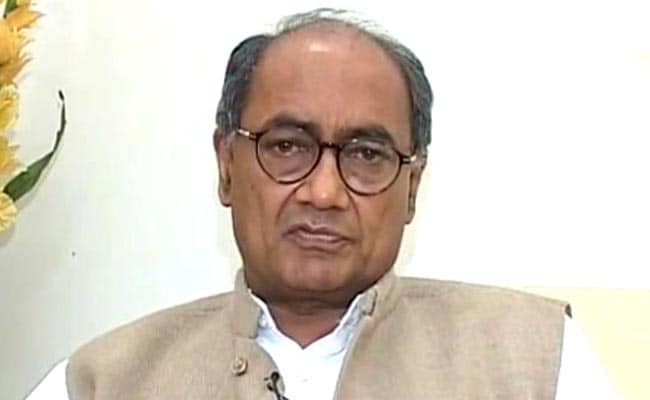 Congress' Digvijaya Singh promptly hit back. "He has rightly said, a Hindu can't be a terrorist, only a Sanghi can be one," Mr Singh said, taking a swipe at the flamboyant Haryana minister who often walks right into controversies. In 2015, the 63-year-old Haryana minister had said all those opposing yoga were "traitors". A few months later, he called the Congress 'angrezon ki aulad' (a progeny of the British) because the party was formed by a British national Allan Octavian Hume. Earlier this year, the BJP also publicly condemned his views when Mr Vij targetted Mahatma Gandhi, saying his image did not help Khadi and caused devaluation of the currency. On Wednesday, Mr Vij, once considered to be in the running for the chief minister's post, took off when he was asked about reports that some people suspected to be involved in the Samjhauta Express blasts had left for Pakistan. It is a very serious matter, he said, before launching a string of attacks on the Congress for letting the bombers return to Pakistan. The Samjhauta Express train was passing through Panipat in Haryana on February 18, 2007 when a bomb went off. Of the 68 people who lost their lives, 42 were Pakistani citizens. The minister asked the Centre to reinvestigate the train bombing but quickly pointed that this wouldn't help, since the accused were already in Pakistan. "They are not responding to your summons... how you will complete the investigation," he said.